The Wray Avenue Solar Parklet is a project that was funded through a community engagement and crowd funding strategy. Seedesign Studio designed the parklet to create a peaceful resting and meeting place for passers by to enjoy. 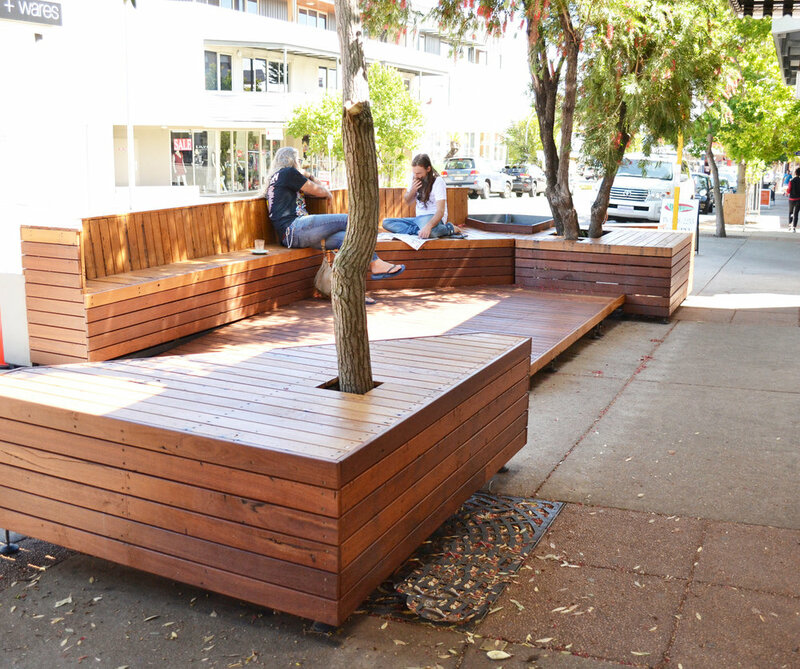 The parklet has turned a previously unused piece of road to create a safe and usable space for locals and visitors. Wray Avenue Solar Parklet assists with traffic calming to make the streetscape a safer space for pedestrians and cyclists. The design of the parklet makes use of recycled and reclaimed materials in it’s construction. Stage 2 of the project will see the parklet being lit up at night by solar panels attached to the roof of the adjoining cafe. The solar panels will also provide power for power points to allow users to recharge devices and for community events. This was a pro bono engagement as we believe in the importance of design on a small scale having a large impact on the social fabric of our local community.